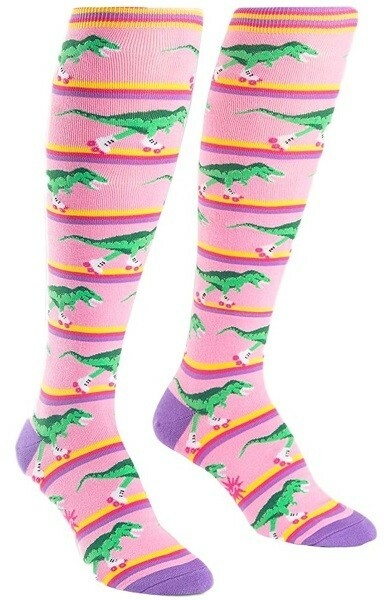 Dinosaur-covered pink knee highs prove one thing -- dinos just want to have fun! Sure, they can be scary sometimes, but who could be scared of a T-Rex in skates? Nobody. Even if it does make them faster and more agile... Anyway, just roll with it. 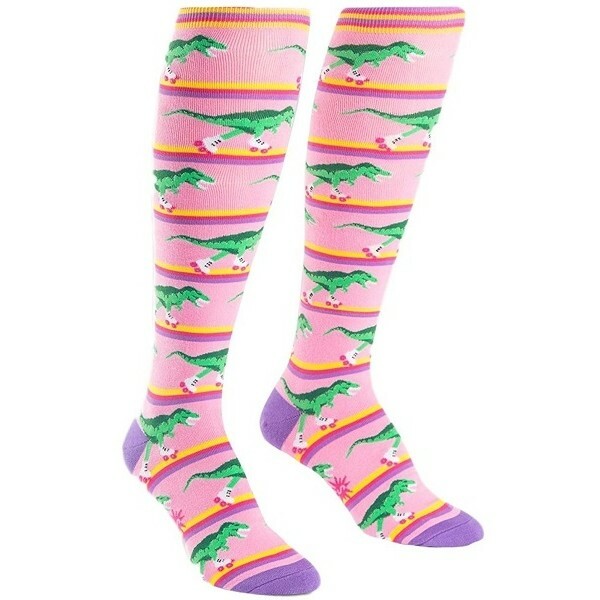 These cotton/polyester/spandex socks come in one size that fits most women's shoe sizes 5 to 10.